Celebrating Success | Our Team programme wins an award! We are very happy to announce that our Team Programme has won an award at The Prince’s Trust‘s Celebrate Success Awards for the East of England and will be going to the national awards in the Spring! 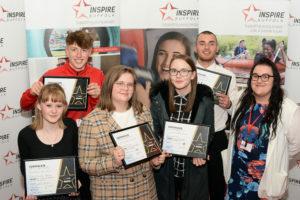 Inspire Suffolk’s Team 26 from Ipswich won the BGL Group Community Impact Award at the Prince’s Trust awards this week. Every member of our Team 26 struggled with mental health barriers before they found our Team programme, in many cases experiencing bullying which led to depression and anxiety. 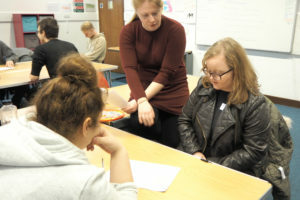 They worked extremely hard to create a video highlighting the terrible impact bullying can have for their Community Project part of the course. 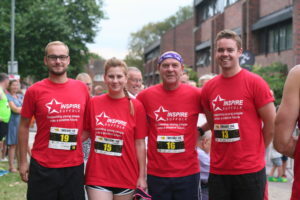 They fundraised in town to raise nearly £300 for essential equipment, pushing themselves out of their comfort zones by approaching the public to ask for their support. All taking part in the filming, the Team were keen to each include their personal stories of mental health. They grew in confidence, learned new practical skills and have developed the self-belief that they can achieve whatever they set their minds to. Well done to all of the Team members and leaders involved, amazing work! Find out more about our Team programme here. We were also shortlisted as finalists for two other awards.  Another Community Project was shortlisted for the awards where our Team 24 transformed the outside area of the Salvation Army Hostel in Ipswich influenced by the team’s own experience of staying in hostels themselves including the Salvation Army. One of our Team members was also shortlisted for the Rising Star award for her tremendous journey through and following Team programme.  Watch Inspire Suffolk Team 26’s Community Project video here…. Want to find out more about our Team programme? Visit our page for more information on how to enrol. Enquire about: Celebrating Success | Our Team programme wins an award!